Xilisoft Corporation is application development company dedicated in developing multimedia software and providing mobile device solutions. 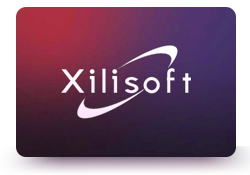 Founded in 2004, Xilisoft has been an award-winning developer especially in the video and audio converting software and device management field. Xilisoft has released more than 190 products. Our product ranges from Video and Audio Converter, DVD to Video, DVD Creator, YouTube Downloader, to iPhone/iPad and mobile device software, and so forth. The products are available worldwide in English, Japanese, German, French, Italian and Chinese, and compatible with both Windows and Mac platforms. And by adapting the online marking approach, we built up an efficient marketing network and successfully promoted products around the world. Being one of the first company’s in the industry, Xilisoft have attracted more than ten million users worldwide and maintained the stable and fast development with the compound annual growth. 10 years later, Xilisoft continues to extend its business worldwide and offering quality products and services. Xilisoft's Ringtone Maker works well and supports a large variety of file formats.Ringtone Maker gets the job done-but without any flare. Xilisoft iPod Video Converter does a great job of converting just about any file format you can name to a format that can be viewed on your iPod. Xilisoft's iPhone Transfer app offers an easy way to manage your iPhone's audio and video content when you don't want to use iTunes. Xilisoft Video Converter is a nifty software which converts over 150 video formats. Xilisoft has a unparalleled collection of multimedia and mobile platform applictions for both Mac and Windows. We always turn to Xilisoft for partnership in these areas because they are easy to work with, undersatand our business requirements and produce high quality products our users appreciate. Xilisoft has been a valuable and important partner for us. Xilisoft's PowerPoint to Video Converter converts PPT into a wide range of standard and HD video formats.It shows just how easy it is to convert your outdated presentation files into videos with many potential uses. With Xilisoft DPG Converter, it's easy to convert a wide variety of different video formats to DPG. The program installs and uninstalls without issues. We recommend this program to all users. Xilisoft Video Converter Platinum is a simple, straightforward tool that enables you to convert video files between a wide array of formats. With Xilisoft HD Video Converter you can convert video files between a wide array of formats, with special attention to HD videos, and including other formats and platforms from the standard MPG, AVI or WMV to specific formats for iPod, iPhone, PSP, PS3 or Xbox. Great Mind Inc has been offering Xilisoft products on Amazon.com since 2006. 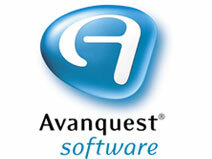 Our customers can always depend on Xilisoft quality and support. Xilisoft sales managers are always very responsive to our issues and concerns. Thanks to Xilisoft, we cam offer our customers excellent solutions in a rapidly-changing technology.